With all of the food restrictions we follow for Bubs, finding a butter substitute has been a challenge. There are plenty out there that are milk-free, but that isn't enough here. And I had completely written off mayo! Every mayo label I looked at said eggs! But one of my wandering grocery shopping escapades led me to find a milk-free butter that is also soy-free! What a find! Earth Balance Natural Buttery Spread Soy-Free is perfect! The finished product. He was asking for more! As you can tell, the container in the picture above is almost empty. This stuff is great! I have made Rice Krispie treats, cinnamon rolls, buttercream frosting, topped pancakes, and more. Earth Balance does offer vegan buttery baking sticks which are ideal for baking (which I do a lot of), but those contain soy. I would like to see the baking sticks made in the soy-free version as well. Ditto for the shortening sticks. Another great find has been this vegan, soy-free mayo. 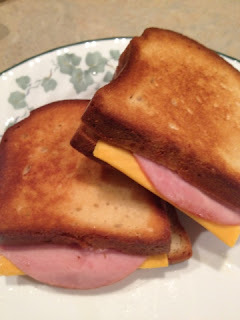 All these years we have had plain tuna, plain shredded chicken, and plain sandwiches. This dressing and sandwich spread is another absolute substitution. I can use it as I would regular mayo, spreading it on bread for sandwiches (gluten-free bread tends to be a bit dry, so this really helps with texture and flavor), mixing it with tuna or chicken to make a delicious salad or sandwich, and using it in any recipe that calls for mayo (I have seen a few recently but ignored them because I had written off mayo). Earth Balance﻿ offers a great line of vegan products that include five types of buttery spreads, five flavors of soy milk, three types of mayo, buttery baking sticks, shortening sticks, four types of peanut butter, three types of culinary spreads, and four types of popcorn snacks. What a great variety! This is a go-to brand for all of you who need milk, egg, and gluten free foods. Unfortunately I haven't seen any of the popcorn snacks in my local stores. 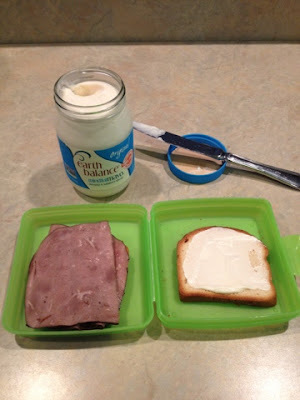 I am eager to try them, as I am always looking for new, healthy snack ideas for Bubs (and the other kiddos too). 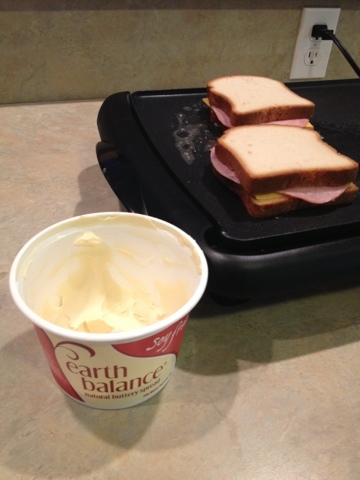 Of course we can't do peanut butter here, but Earth Balance would be my top choice of peanut butter if we could. It is my only choice for butter and mayo, and I am so grateful I have this option for my son.